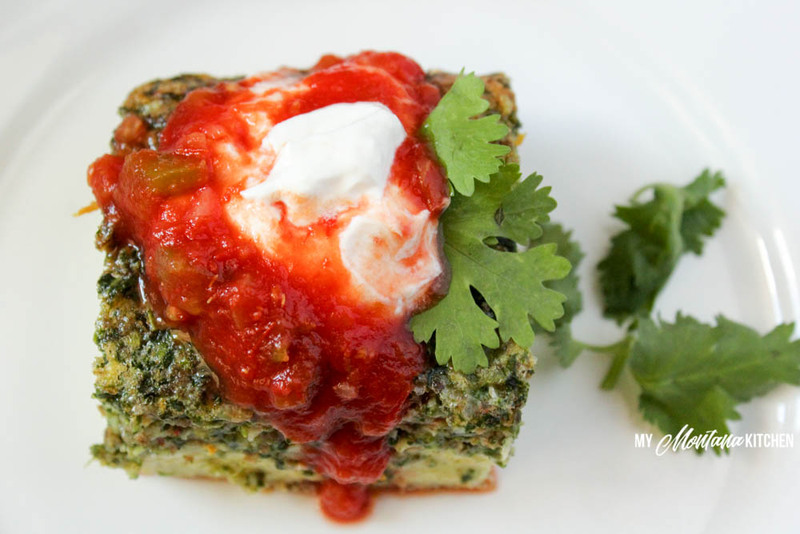 An easy Mexican Egg Bake that only takes a few minutes to prepare. You can even prep it ahead the night before and pop it in the oven in the morning. This dish gets a burst of flavor from fresh cilantro. 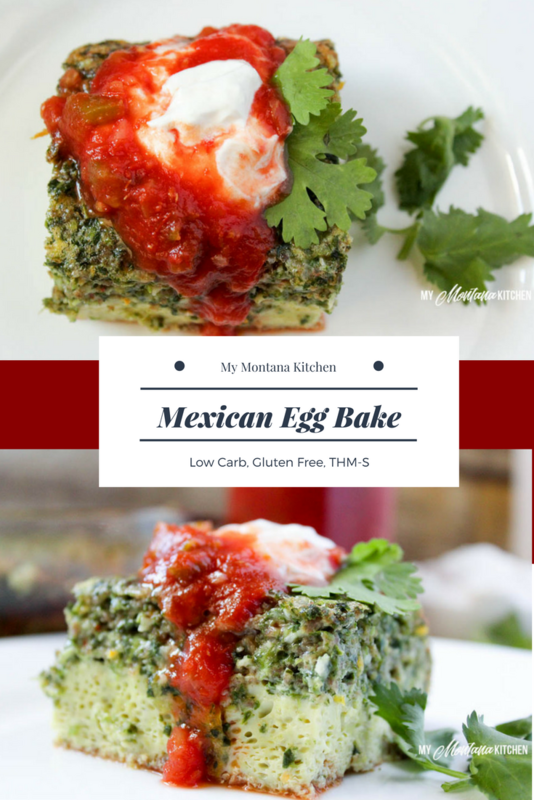 This recipe is low carb, gluten free, sugar free, and a Trim Healthy Mama S Recipe. 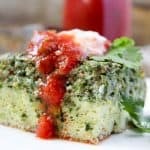 This recipe is another one of my husband’s creations. Every now and then he gets an idea in his head for a recipe, and I step out of the way and let him create! One of his last creations was the Bacon Bomb Recipe, but he is also completely responsible for the Cajun Chicken Eggroll in a Bowl. He really is quite handy in the kitchen! Breakfast is his domain – I hardly ever cook eggs, sausage, or bacon. In fact, I’m terrible at frying bacon! I can never get it right – either limp and fatty or black and smoking. I’ve resorted to cooking all my bacon in the oven, unless my husband is at home. I gladly hand over that responsibility. And a husband who will cook bacon for me – whats not to love there? But this is not a recipe about bacon, it is about this delicious Mexican Egg Bake he created. 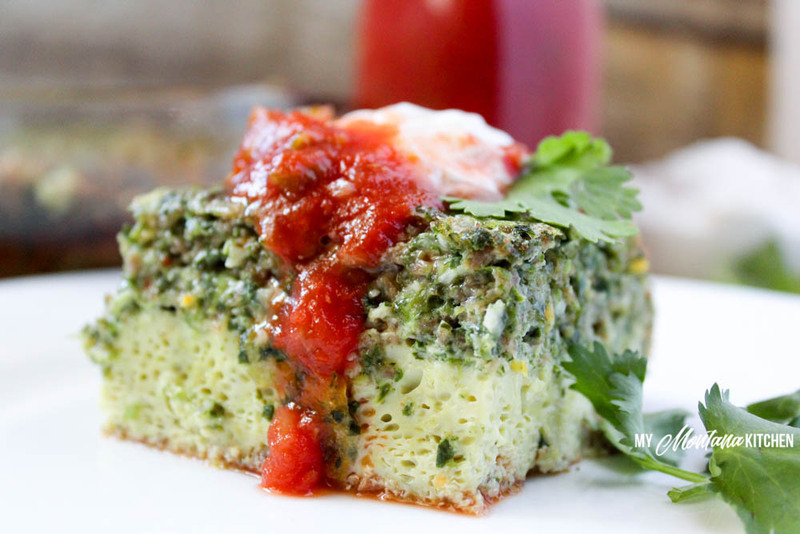 This is so simple – all the ingredients go in your blender, then pour them in a pan and bake! So easy that anyone can throw it together! We like to top this Mexican Egg Bake with sour cream, salsa, and an extra sprinkle of cheese. If you like your dishes spicy, you could dice a couple of jalapeños to add to the egg mixture. This recipe makes 9 generous sized portions. Place all ingredients in your blender, and pulse until combined. Bake for 50 to 60 minutes, or until top is turning golden brown and set in the center. Top with additional cheese, if desired, and serve with salsa and sour cream.